Here are a few pros and cons of blogging if you are a student. These are not pros and cons of blogging, but pros and cons of blogging if you are a student. All students have a few things in common, such as many of them having limited time due to studying, and many of them having limited funds because they are not earning a wage through full time employment. For people in such a position, here are a few pros and cons of blogging. This is very true and cannot be ignored. You are a student and you are supposed to be studying. It is true that there are far worse things that you can waste your time on, but that is no excuse for expending time on something that potentially has no value. You have all the time in the world to write a blog when you are out of full time education. But, at the moment you are in a very time-limited situation. You only have a few years in order to pass your exams and get the qualifications you are after. When you take notes during lectures or during classes you write them in your notebooks. That is often where they stay until they are glanced upon the night before your big test. Instead of doing that little mistake, you can put them up on your blog as your weekly or even daily blog posts. Not only are you going over your notes (which is an invaluable learning technique), but you are putting them somewhere accessible and far more useful than leaving them in your notebook. This is something that is overlooked by people who are starting blogs as students. Writing a blog does include some work, and it is written work too, so you are running the risk of speeding up your burnout. If you overwork (especially with text) you are going to have a burnout where you can no longer bring yourself to work. When this happens it is very hard to get back into the swing of things, so be wary of this when you start your blog. This means posting content that you would have written anyway in order to help you revise. The only difference is that you are putting it all online. Simply writing it is going to be revision enough, plus the fact that it is online means you are probably going to abide by a few quality guidelines and create better revision aides. You will not earn a lot of money with your blog. It just does not happen, even with very popular blogs. Blogging is not something you can live on and it will only ever provide you with a little more pocket money at the end of the month (if anything). You may have multiple motivations for wanting to be a blogger, but if your only or primary reason is that you want to make money, then think again. You can spend weeks working on a blog to earn the same amount you would have earned stacking a shelf at Wal-Mart for two hours. 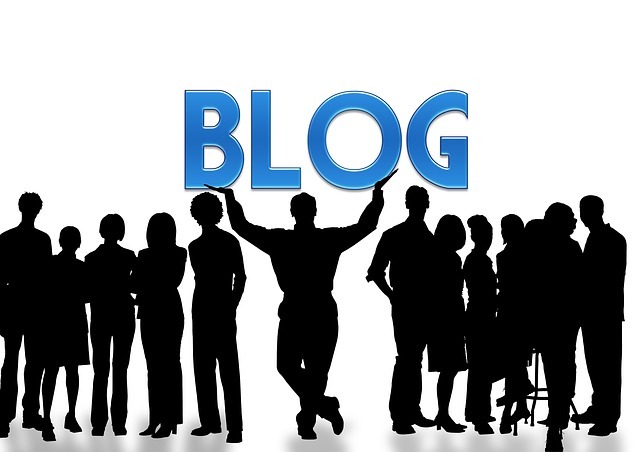 If you are looking to make a name for yourself on the Internet, then blogging may help. Plus, if you do decide to start creating revision aides, or if you start writing your notes on your blog, then people may follow you. People in your own college or school may even follow your blog in order to take advantage of what is basically free learning. They may even start to rely on you, and do not forget that people from other schools and colleges are going to want similar revision aides too. You may find your Facebook friend request segment starts to fill up a little quicker. The same is true for social media, and it is up to the student to moderate what he or she writes online. Colleges do have strict rules about what it posted online by a person attending their institution, and blogs are held against the same rules as social media. So, it is truly up to the student as to whether this is a con or not, but nevertheless, students around the world have been expelled for posting something on their blog that the school, college or university took exception to. Kate Funk is working as a freelance writer at getanycontent.com, where everybody can control and coordinate content writing process, from choosing your own writer to accepting or rejecting the final work result.